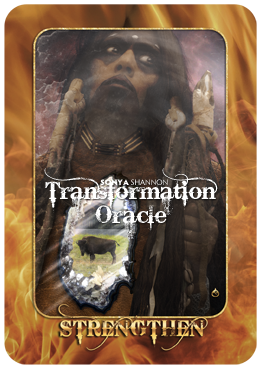 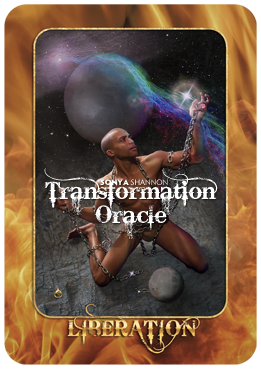 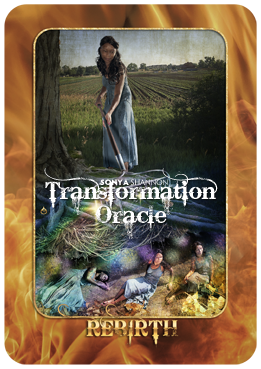 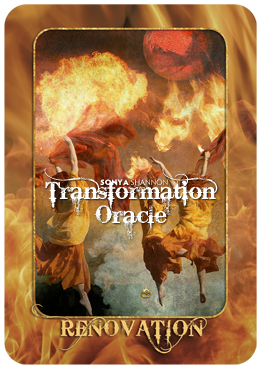 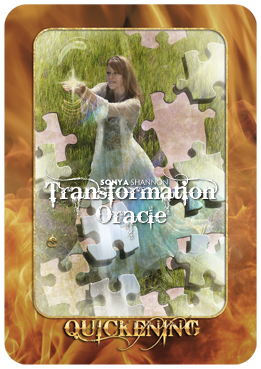 Transformation Oracle cards in the fire element. 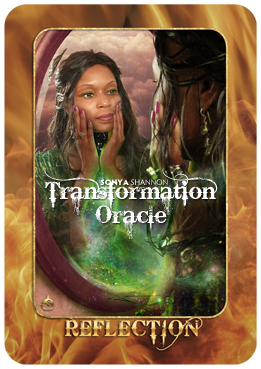 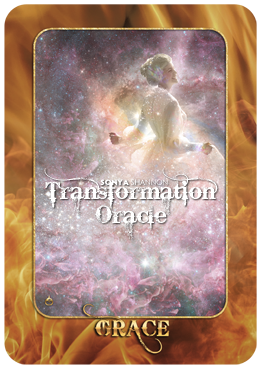 There are 11 Fire cards in the Transformation Oracle. 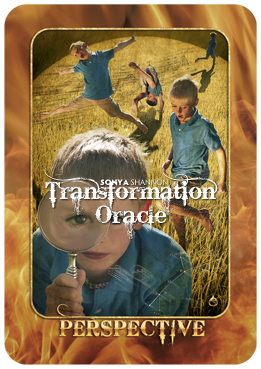 Fire cards are distinguished by a fiery orange background (Editions 1-8) with the addition of flames, sparks and smoke (Treasure Chest Edition, published by Red Feather / Schiffer Books). 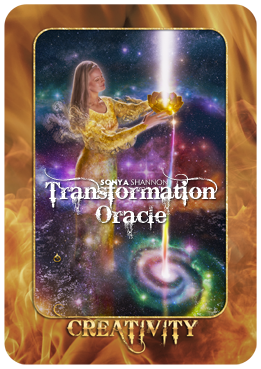 Fire cards relate to spirit: the Light that guides, protects and activates our soul’s journey; the metaphysical and alchemical energy of deepest transformation. 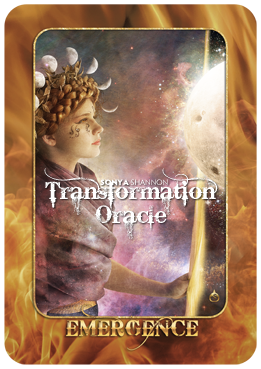 The metaphysical symbol for Fire is an upward triangle. 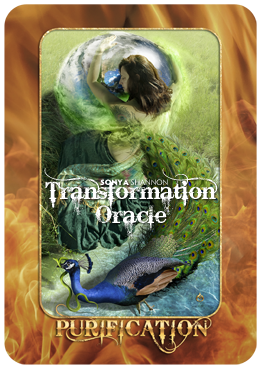 The movement of Fire is upward.